NOTE:Hot One Brand Bags Only Sold by Hot One,Other Sellers are Selling FAKE Products, Please DO NOT LOST YOUR MONEY ON the Other Sellers. This is A Unique Purse and Handbag,Rainbow Colors. 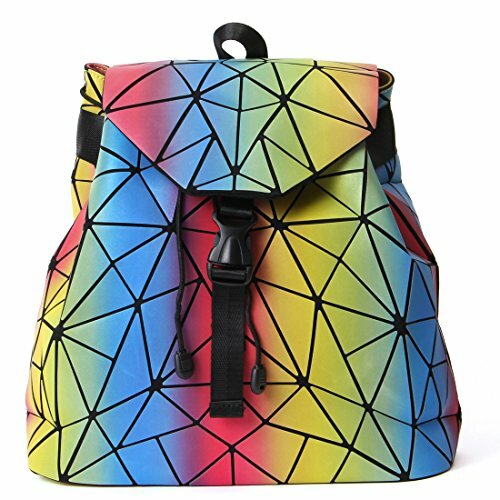 It's a Geometric Handbag With 4 Small Pockets,Easily Hold All You Stuff of Daily Use Such as iPad,Cosmetic,Umbrella,Wallet,Keys,Phone etc. It's a Fashion Bags,Flexible All Your Dress,Make You More Fashionable in Party or Date.